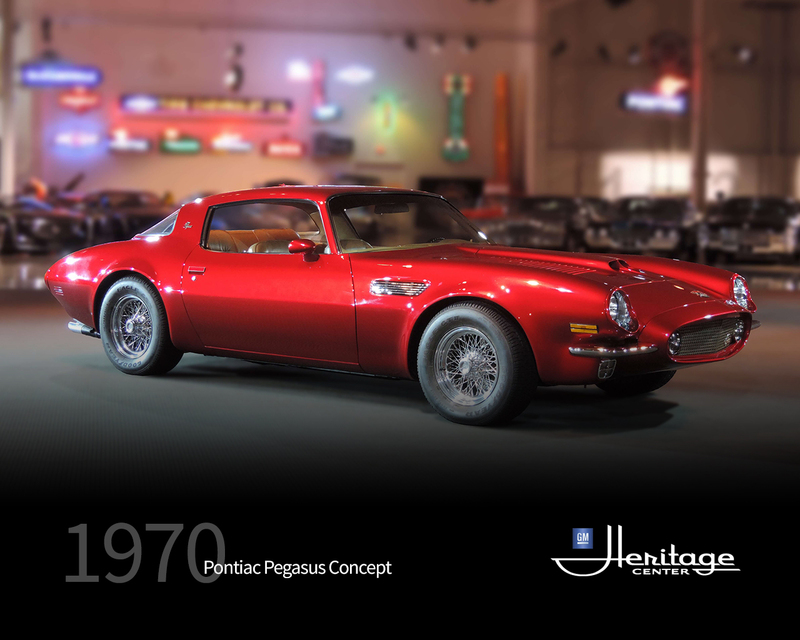 Designed under the direction of William L. Mitchell, GM Design Vice President, the Pegasus was built as a "design concept" study from a production 1970 Pontiac Firebird. The front end, grille and fender vents were inspired by Ferrari designs. Enzo Ferrari contributed a 365 GTB/4 V12 engine to the project. 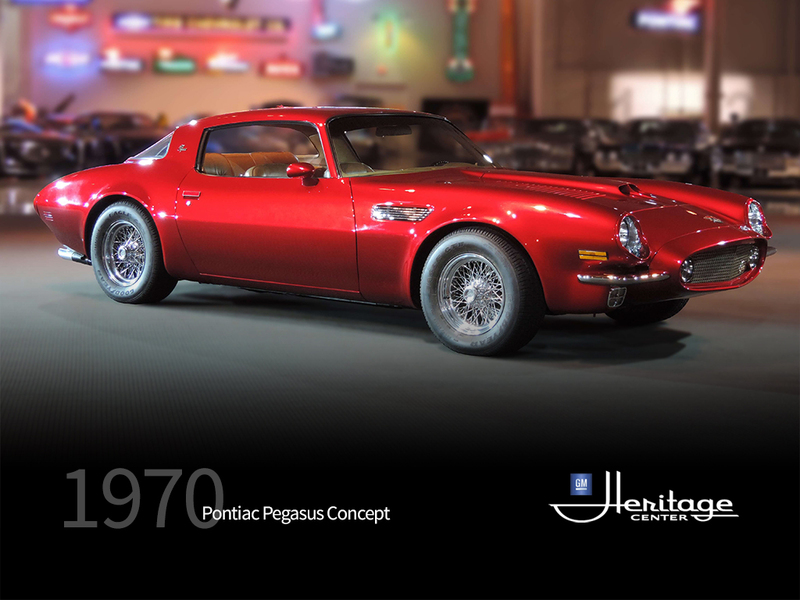 The engine was mated to a Ferrari 5-speed transmission and a GM posi-traction rear axle. The 4-wheel disc brakes were from a Corvette, the wire wheels were from Borrani and the exhaust system, mufflers and instrument panel gauges were from Ferrari.